Every April, the U.S. celebrates National Library Week. 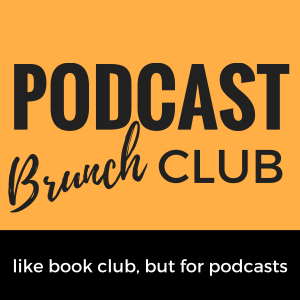 Podcast Brunch Club is steadily adding more library partners to is list of chapters. 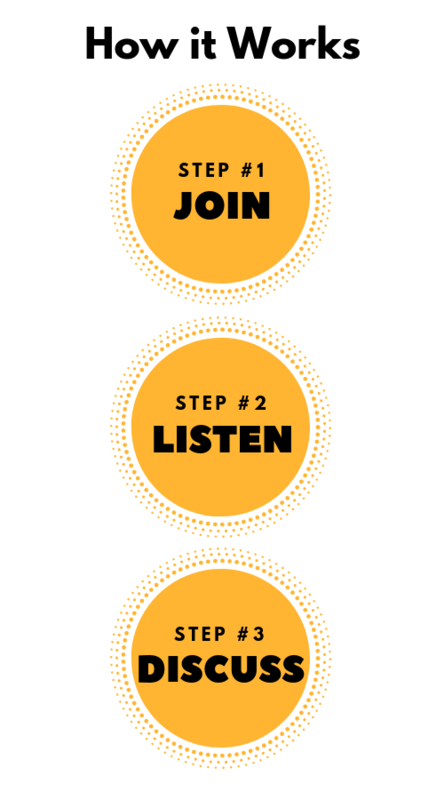 In honor of both of these things, we wanted to put together a listening list that pays tribute to libraries all over the world. Libraries of today are so much more than books; they circulate all kinds of things from hotspots and e-readers to instruments and kitchen appliances. Libraries themselves are also more than just buildings–these spaces function as community centers: offering meeting spaces, assistance with social services, and access to technology. 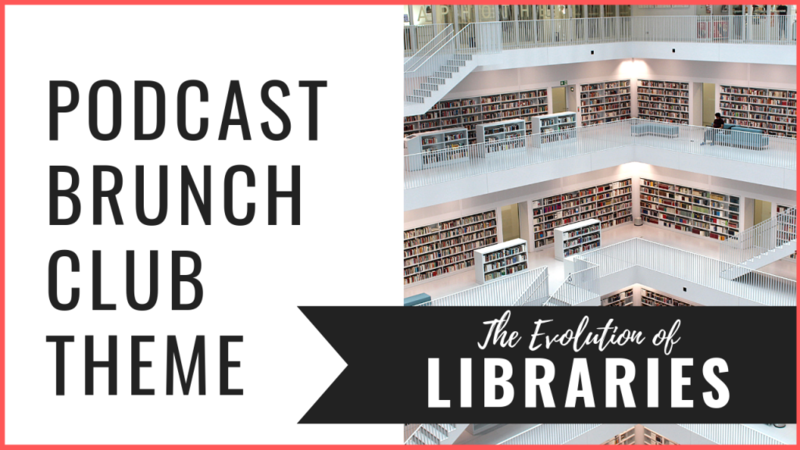 This listening list explores how libraries have evolved from their origins as places that house information and knowledge to the institutions of today that work to positively impact the communities around them. Illuminating and unique exploration of the subject that examines what various libraries have meant to various people. A great example of what a library in a nonconventional space looks like. A good overview of the history of libraries and public libraries specifically, as well as adding some levity to the playlist. A perspective from outside the United States looking into why libraries are important and some of the funding challenges facing libraries. Do you use your local library? Why or why not? If so, what services do you typically use? If you could put a library anywhere (such as a prison), where would you put one? Have you seen libraries in your community closing or facing funding challenges? What do you think of library etiquette? How do you think the rules in a library should evolve? If you had a room of requirement, what would be inside? How do you think the internet and the free-flow of information that it provides impacts libraries and their role? If libraries were not, in fact, around for thousands of years do you think they would be created today? PBC’s personal DJ (DJ Rugged Angel) put this Spotify music playlist together for us on the theme of Libraries.